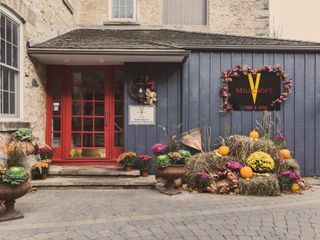 Millcroft Inn & Spa ARE YOU A VENDOR? 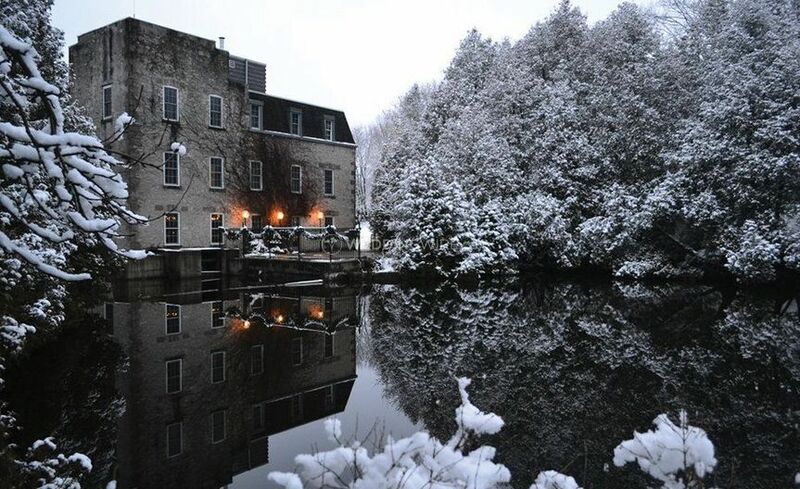 Located in Alton, Ontario, Millcroft Inn & Spa offers a superb setting for celebrating weddings and other special occasions. 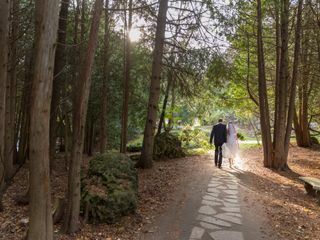 Not only does this venue offer stunning views of Shaw's Creek Falls, but it also has the grounds and facilities that provide amazing photo opportunities. 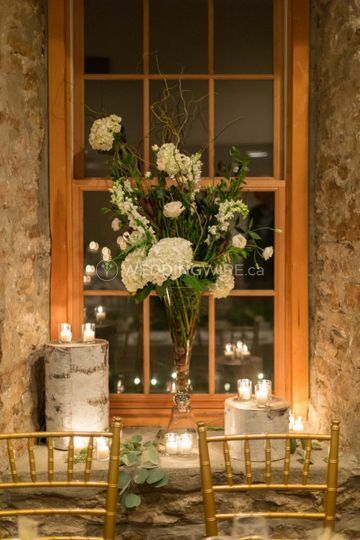 If you are looking to host a country wedding with sophistication, then this venue is for you! 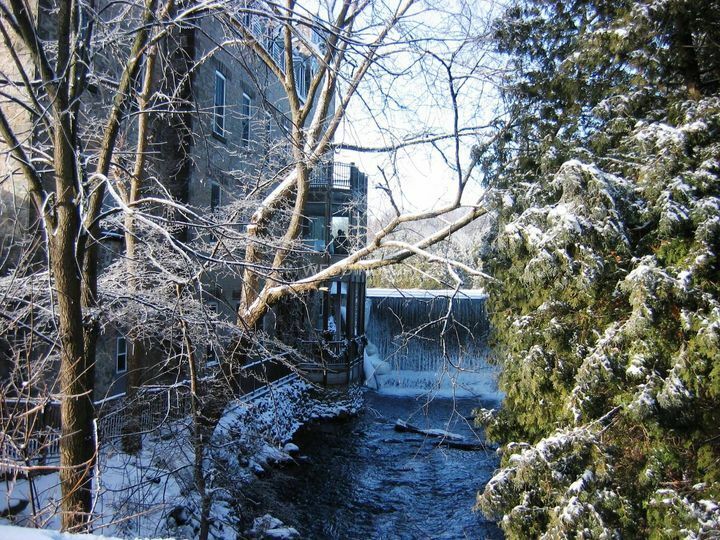 The facilities found at Millcroft Inn & Spa are full of urban style and country charm. 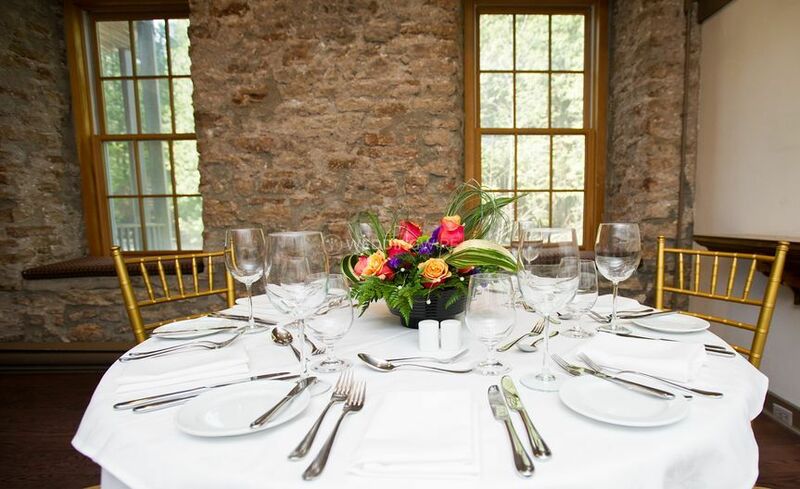 In banquet style, the facilities capacities include the River Room which can hold 80 guests, the Erin Room can seat 60, the Alton can seat 54 guests. 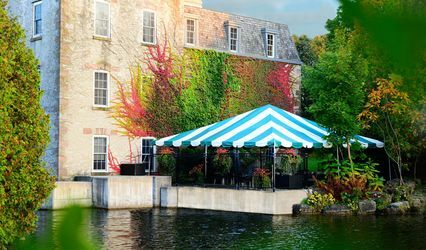 Tented receptions for up to 150 guests are also offered. 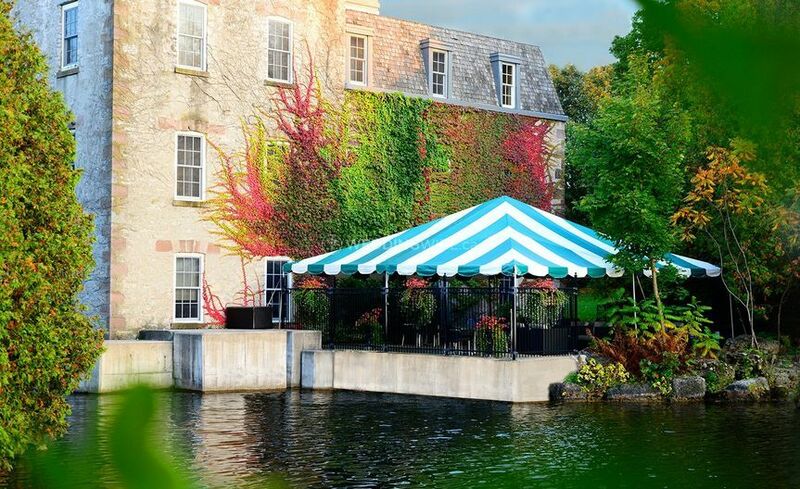 Millcroft Inn & Spa has a fantastic staff that will assist you during your event. 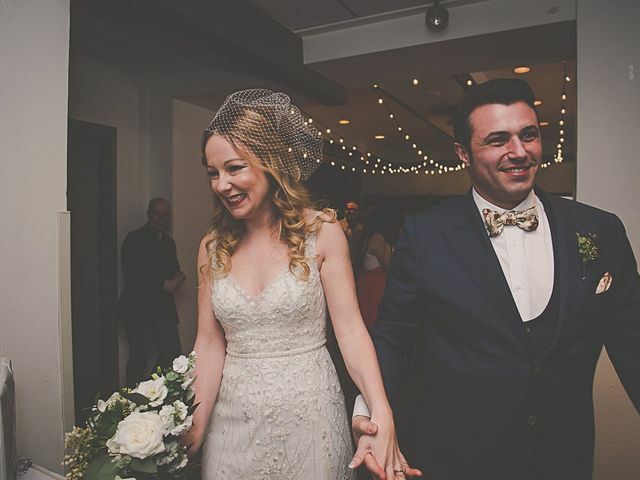 The services offered in their winter wedding package include a specialized winter dinner menu, a wedding bar package and wine service with dinner and a complimentary 1-night stay for the bride and groom. 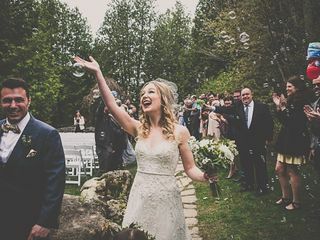 We held our wedding at the Millcroft Inn July 2018. 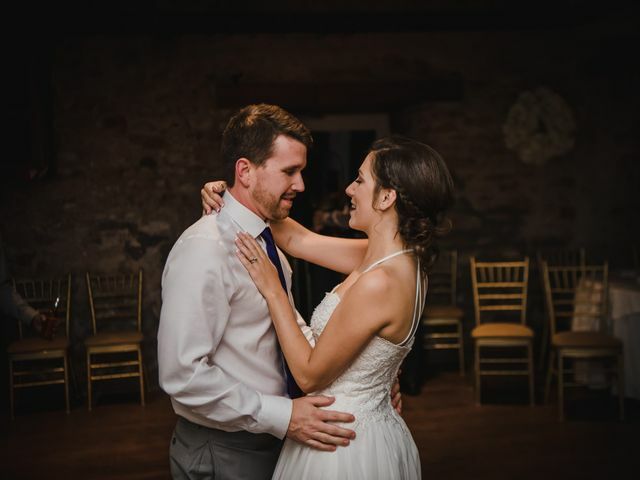 They were wonderful in making everything run smoothly for us and wonderfully hospitable. The pastry chef and chef was amazing in adapting the menu to our dietary needs. We really really appreciated that. Had an amazing time. Gorgeous place. Felt like we were somewhere in Europe. Thank you. 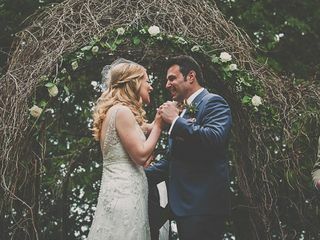 We absolutely loved hosting you and your ceremony was beautiful. We would love to share this with our guests on Facebook and Instagram. Would you mind if I share you name and photo along with it. We can tag you as well. 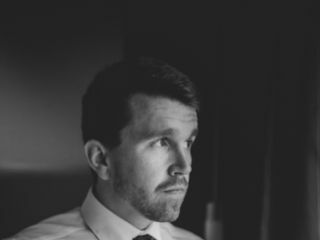 Also, if you have any pictures from your photographer that you would be willing to share. 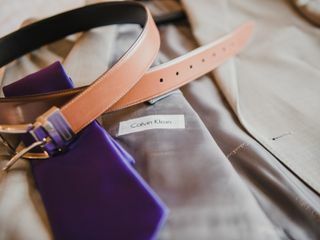 We would love to share your beautiful day with future couples! First like to say, the food was fantastic. They we're flexible with every request we made for meals and drinks. We had some miscommunication prior and the chef was able to quickly deliver on changes made during course of the meal. During cocktail hour, while we got our pictures done, they came out to find us and provide us, the bride and groom, some food as well. That was fantastic. They did have to change hands a couple of times to new administration. But each was nice. 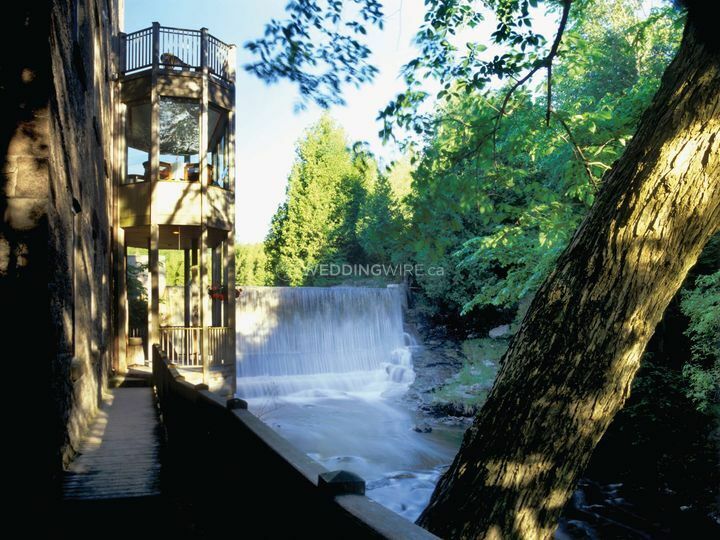 The wheelchair lift into the river room brokedown, and we had to use the door to the waterfall and go around the back to get up to the rooms for a guest. 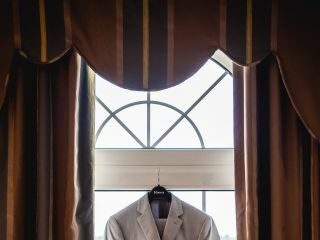 The hotel was able to help with every request made by the bride that night, ex: let us know when cab arrive for guest so they wouldn't have to wait outside. Overall we had a fabulous time. 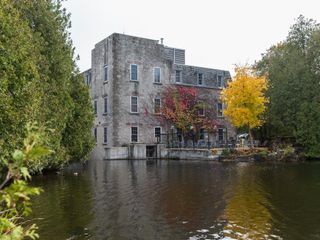 Beautiful old vintage mill property with waterfalls, gardens, forest with trails, and onsite hotel accomodations and spa. Our overnight guests especially enjoyed the outdoor hot springs. 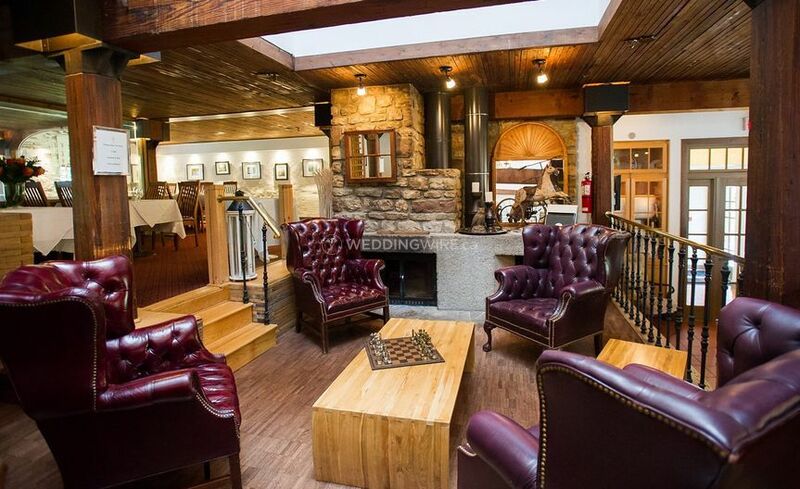 Perfect venue for a small ceremony and reception (up to 80). We weren't expecting a dusting of snow on our wedding day in November but it made for beautiful photos and drone video coverage. 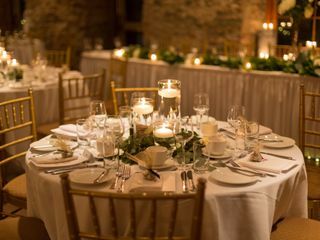 The staff are impeccable and our wedding coordinator took care of all the details. The food was great with the exception they messed up the vegetarian risotto. The winter package was a reasonable price however with the add ons the price per person added up quickly and we were only permitted to bring in wedding cake. 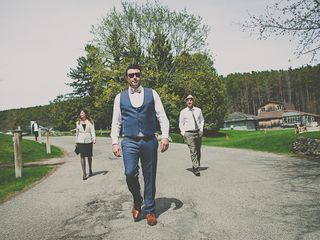 I would definitely recommend the Millcroft for smaller weddings. 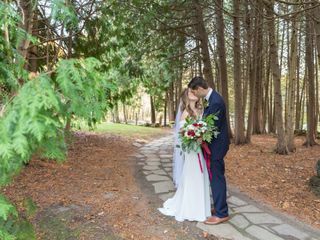 We were married on October 27th at the Millcroft Inn. 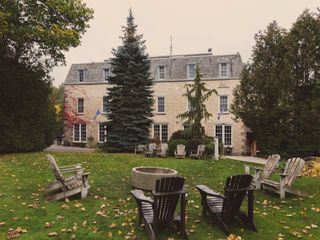 We had imagined a cozy, candle-lit evening with our closest family and friends; from the time we saw the Millcroft, we knew it was the venue for us. 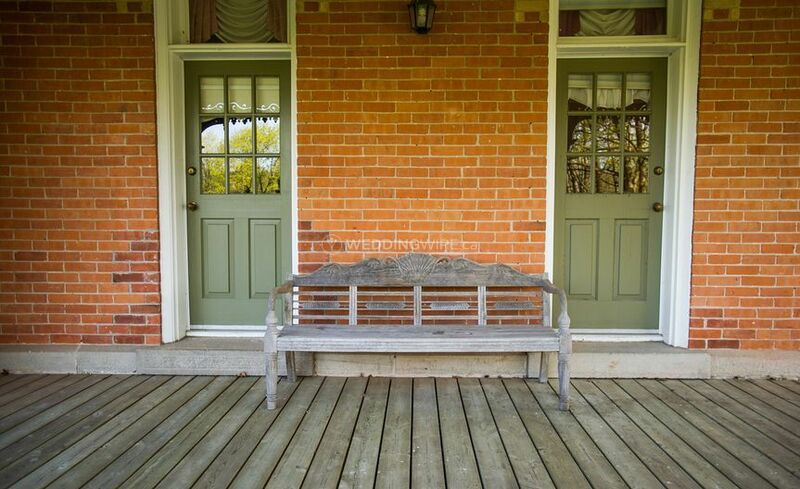 Both the inn and the grounds are lovely, and offer many locations for photography. 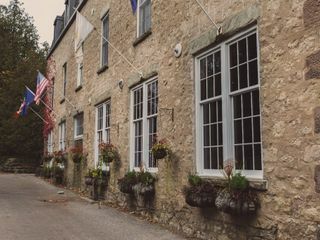 We received so many compliments from guests, remarking on the beauty of the grounds, and the quality of both the food and service. The winter/Friday wedding packages provide exceptional value. (Our meal was absolutely delicious, and no guest's glass was left empty for long!) 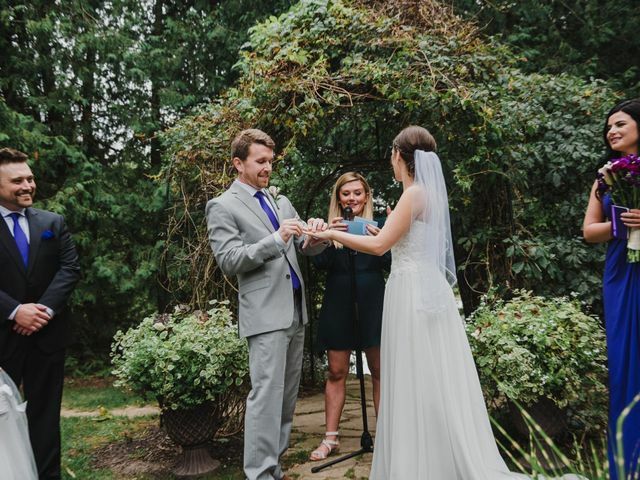 We really appreciated the ease of being able to have the ceremony, photos, and reception all done on-site. My bridal party took advantage of the spa the morning of the wedding, and it was convenient for guests to have the option of spending the night. Angelina, the events coordinator was absolutely wonderful too! She was exceptionally responsive and attentive during the planning process, and helped make sure the day went off without a hitch. I'd encourage anyone considering this venue to check it out in person! The food served in the restaurant is every bit as tasty as what was served on the day of our wedding, and made for a fun excursion during the wedding planning process. Many thanks to all of the staff at the Millcroft for making our day so special! Thank you so very much for our review! Would you mind if I share this review and some of the images on our social media? If so, who was your photographer and would you like to be tagged in this post?